By Gerard M. Honoré, M.D., Jay S. Nemiro, M.D. Gerard M. Honoré, M.D., Jay S. Nemiro, M.D. Are You Coping with Infertility? Approximately one out of ten couples experience problems with infertility. If you are having trouble conceiving, you know the feelings of disappointment and frustration that come with the realization that becoming a mother may not be as easy as you had expected. But there is hope. 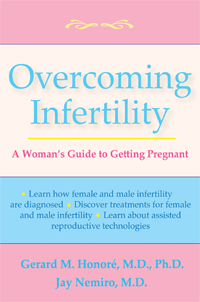 A Valuable Resource for Understanding Infertility!